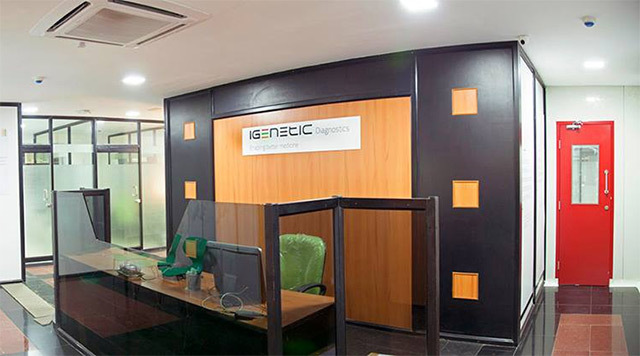 iGenetic Diagnostics Pvt. Ltd, a healthcare diagnostics firm with a focus on specialised and differentiated tests, has raised Rs 133 crore (around $20 million) from Manipal Education and Medical Group (MEMG) and UK-based development financial institution CDC Group Plc, it said in a statement. This investment marked the first bet by the Rs 500 crore (around $75 million) healthcare fund launched by MEMG and CDC Group last month. The company will use the fund to create a pan-India footprint with a focus on deepening its presence in Maharashtra, Karnataka, Tamil Nadu, Andhra Pradesh and Telangana, and expanding into central India over time, it said. Arunima Patel, one of the co-founders of the firm, said the company will also look to build up scale through acquisitions and partnering with regional firms, which “are currently constrained to grow beyond a certain level due to management and financial limitations”. It also plans to become a preferred investigation partner for pharmaceutical companies and clinical research organisations. “We need to create a cost efficient access network for advanced diagnostics, so that people in smaller towns and cities, who are deprived of such capability or cannot access it in time, can benefit,” said Srini Nagarajan, head of South Asia at CDC. The company, which was founded in 2013, offers diagnostics tests ranging from biochemistry to advanced molecular genetics. These tests include 24-hour septicemia detection for critical care, pre-implantation genetic diagnosis, pre-implantation genetic screening for IVF, and next-generation sequencing-based panels for oncology and neurology. The company has its central processing laboratory in Mumbai with operations in cities including Delhi, Hyderabad, Ahmedabad, Baroda, Nagpur and Pune. It also received Rs 7 crore (over $1 million then) in funding from angel investors and high-net-worth individuals (HNIs) last year. The healthcare fund, launched by MEMG and CDC Group, will invest in 'out-of-hospital' care companies, like diagnostics and home-care services in India, Africa and South Asia. The fund joins a growing list of healthcare funds in the country, including Quadria Capital, Sabre Partners, Asian Healthcare Fund and India Life Sciences Fund II.